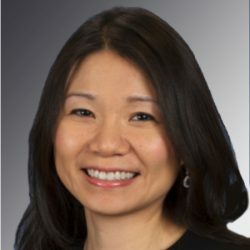 “Annie” Kai I. Cheang, PharmD, MS, BCPS, is Principal Medical Writer at Scientific Value. She has 18 years of medical writing, clinical research and pharmaco-epidemiological research experience. She holds a Doctor of Pharmacy from the University of Texas at Austin. After finishing a pharmacy practice residency at Barnes Jewish Hospital at the Washington University Medical Center, she completed fellowship training in cardiovascular medicine at the University of Utah. She also holds a Master’s Degree in Biostatistics from Virginia Commonwealth University. She is a Board-Certified Pharmacotherapy Specialist (BCPS), a credential denoting membership in a select group of clinical pharmacists on the cutting edge of patient care. In Annie’s previous role in academic clinical medicine, she taught pharmacy and medical students, residents and fellows. Her clinical practice experience encompasses outpatient primary care (including diabetes, heart failure, hypertension, and anticoagulation management), and inpatient medicine (including services in internal medicine, cardiology, oncology and hematology, and intensive care units). She has also served on the Pharmacy and Therapeutics Committee of a major health system and represented the pharmacy department on formulary recommendations. Her clinical and epidemiological research often uses real world data and administrative databases. Her research has been funded by the National Institutes of Health, professional societies, and pharmaceutical companies. Annie’s broad medical experiences and professional background provide her with the perspective to communicate effectivity with medical as well as lay audiences. Her clients include medical education companies, pharmaceutical companies, American Heart Association, and public / nonprofit agencies. Annie is a licensed pharmacist in the States of Virginia and Missouri. She is a member of the American Medical Writers Association, ISPOR, American Heart Association, and American Diabetes Association.